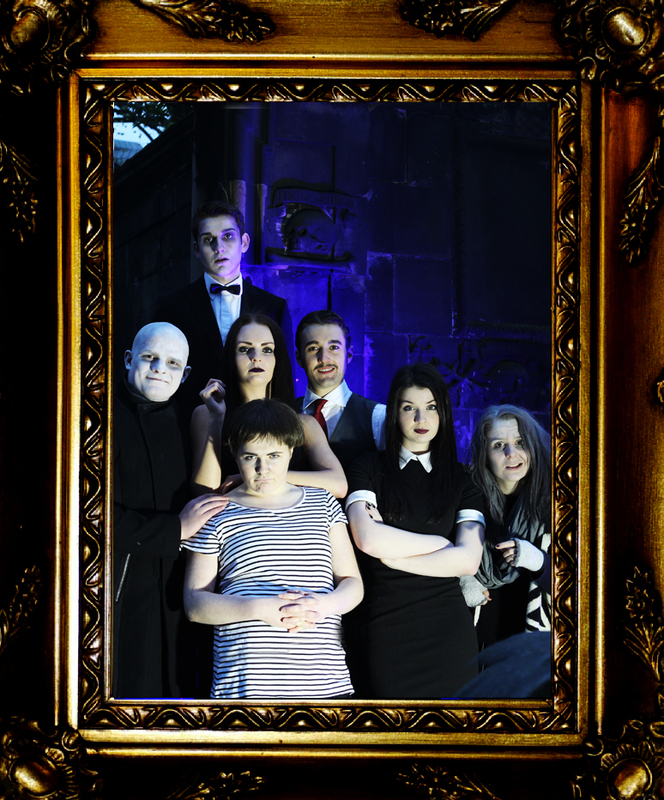 The cast of the upcoming Scottish premier of Addams Family the Musical (being produced by The MGA Academy of Performing Arts at The Kings Theatre, Edinburgh this June) spent their Friday evening in a local Graveyard! Not only was it a great character study exercise, it also allowed for some fabulous photographs to be captured! Opening at the beautiful, newly refurbished KINGS THEATRE in Edinburgh this June for only three performances. NB: The Addams Family is presented through special arrangement with and all authorized performance materials are supplied by Theatrical Rights Worldwide (TRW), 1359 Broadway, Suite 914, New York, NY. 10018. (866) 378-9758.